Our dinner is Japanese cuisine course, served one by one. We have local wagyu beef, fresh vegetables, and fishes from Tsukiji market. 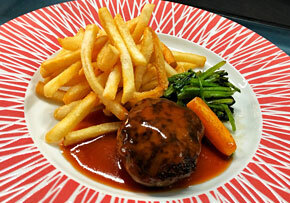 For children, we have wagyu hamburg stake. For infants, we have small plates to share. Our breakfast is buffet style. 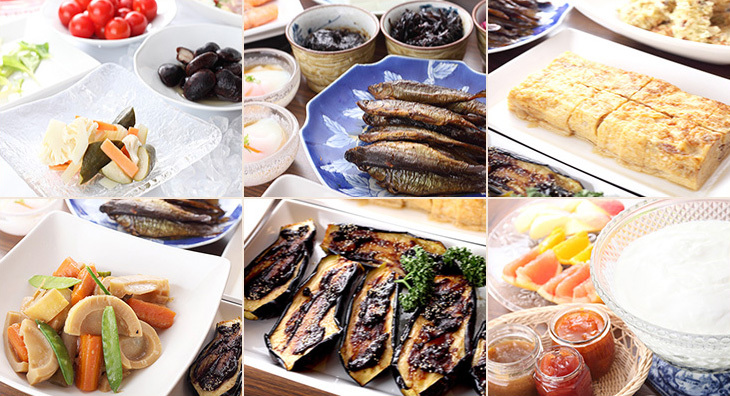 If you have any food allergy, we will make arrangement. ※ Dinner is served at a dinning room. We are sorry but we have no room service. ※We are sorry but our dinner course is limited. 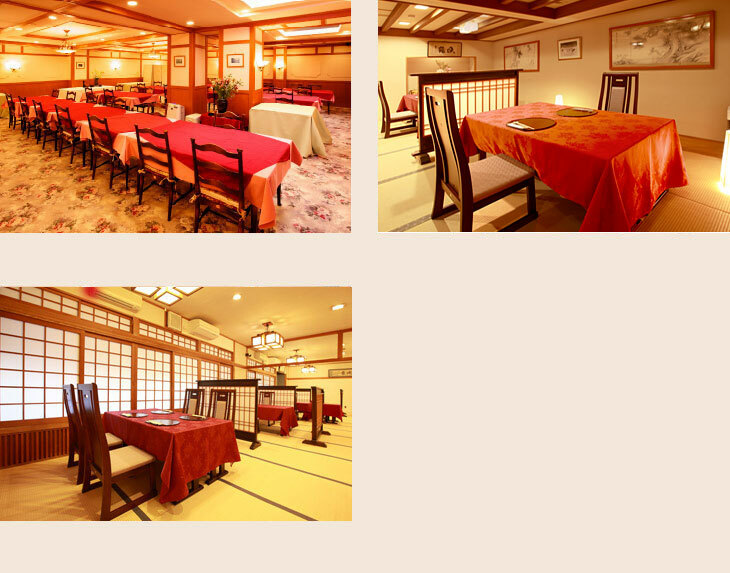 There are many good restaurants in our town, so please enjoy going out for dinner if you cannot choose dinner plan. wagyu hamburg stake, tempura, rice and dessert. If you have any allergy, please let us know upon reservation. Our breakfast is buffet style. 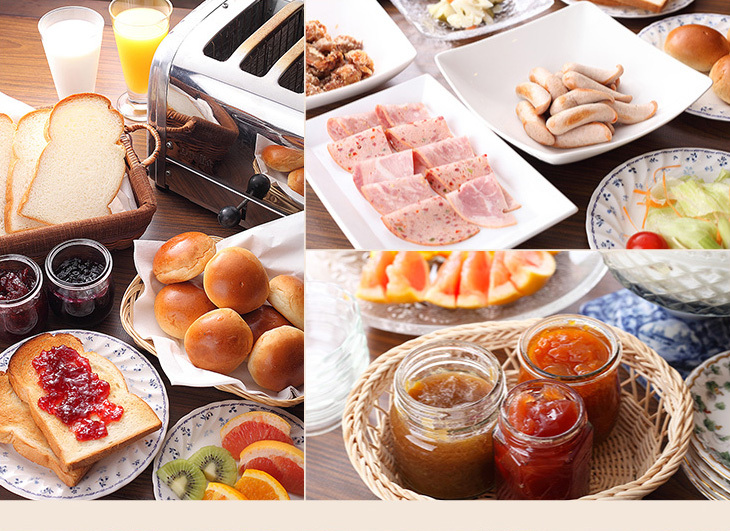 In addition to Japanese traditional dishes, we have Western meals such as sausage, bacon, bread, jam and yogurt. Coffee and tea are available, too.